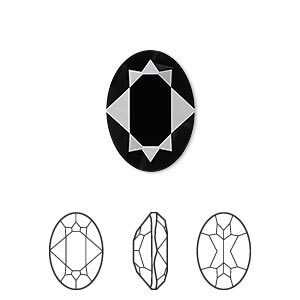 Embellishment, Swarovski® crystal rhinestone, jet, 25x18mm faceted oval fancy stone (4120). Sold individually. 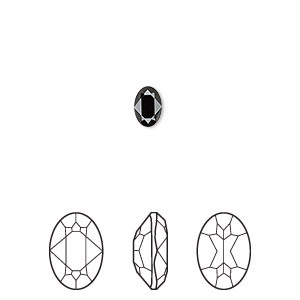 Item Number: H20-A2395CY Have a question about this item? 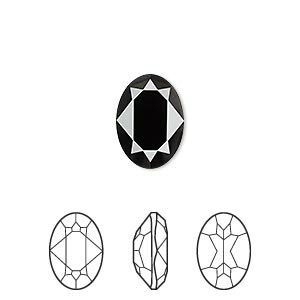 Crystal fancy stones are designed with precise machine-cut facet patterns that produce the signature Swarovski sparkle. 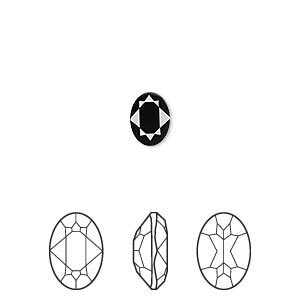 Embellishment, Swarovski® crystal rhinestone, jet, 25x18mm faceted oval fancy stone (4120). Sold per pkg of 4. 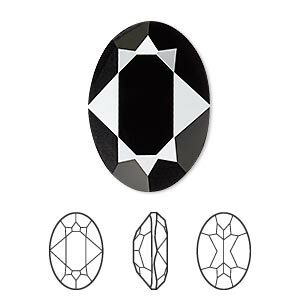 Embellishment, Swarovski® crystal rhinestone, jet, 25x18mm faceted oval fancy stone (4120). Sold per pkg of 24.